Life as a resident is challenging for many reasons. Long hours and low pay, it’s a balancing act of simultaneously being learners and medical care providers. If that wasn’t enough, they are also job-seekers. By the beginning of their second year (if not before) they will begin exploring and making decisions about where, when and how they will start practicing. Recent surveys by Medscape hold important clues about how the competing priorities of time and money will factor into a physician’s career decisions. By better understanding the value they place on time and money, there is a better chance of presenting your practice opportunity with the right balance and fit and appealing to their needs. Achieving work/life balance, while dealing with the pressures and demands on their time, are the top two challenges they face in residency. Eighty percent report that they don’t consistently have enough time for personal wellness and a satisfying social life. Two-thirds believe that having a manageable work schedule and call hours would relieve stress. That’s why it’s vital to demonstrate your respect for a physician’s time. Skillfully assess how well an opportunity might fit the interests of the resident and tailor the timing and content of your outreach to the greatest extent possible. The first touch during the recruitment process should be a highly relevant message that reaches them at their preferred time, using their preferred channel. Once they show interest, don’t waste their time with a prolonged process; but don’t be pushy, either. It’s hard to strike that fine balance, but you can show them how important they are to you by following the three P’s in all communications. Be prompt, precise and personalized to their specific needs. 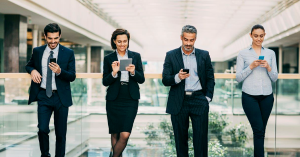 When phone and onsite interviews are scheduled, be sure everything is well-planned (and everyone is well-prepared) so there is no time lost due to confusion, duplication or unnecessary delays in delivering an offer. 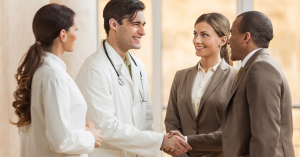 Your candidate’s experience during the recruitment process, including their encounters with your practicing physicians and staff, will show them how well – or poorly – their time will be respected if they decide to join your organization. Every resident has different financial drivers and personal motivations that will influence their career decision. So, it is important to discover what those are and craft a win-win compensation package. Paying top dollar is not necessarily the answer. But being competitive is key. Just be sure you know exactly who, what or where your competition really is. The important point is to set clear expectations about how a physician can maximize their compensation while living the life they hope for. A pathway out of educational debt or a low cost of living may be more highly valued than a top dollar salary in a high-pressure practice setting. Explain how work RVUs, collections, quality bonuses, and other components work. Show them benchmarks and allow them to see how others like them have progressed. Provide the practice support that will free them to focus on productivity and increase their earning potential. 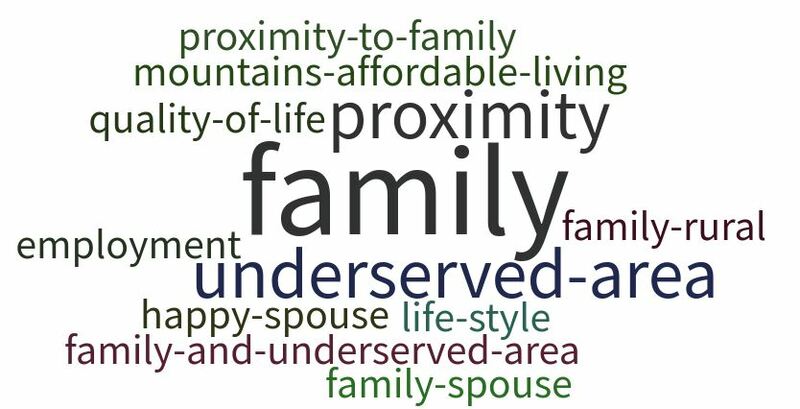 Help them envision how well the incentives and benefits align with their needs and those of their spouse and family (if they have one). Surveys can deliver helpful insights, but they need to be placed in the context of your situation. If you are looking for solutions to specific challenges, talk to a Jackson Physician Search recruitment expert today. The record number of available first-year positions is tempered by this harsh reality: we need to train more physicians as demand continues to outstrip supply, due to the aging population and accelerating retirement of “baby boom” doctors. The shortage of Primary Care Physicians (PCPs), the quarterbacks of value-based care, is one of the top three worries of hospital CEOs. They are desperately needed in rural, remote and low-income communities, where they need not only better compensation, but strong support for themselves and their families. 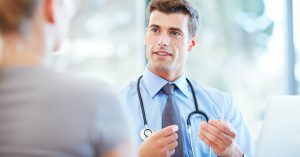 More physicians are pursuing medical careers as couples. The downside? Twice the burden of educational debt on one household makes loan forgiveness an essential recruitment incentive. Retention is doubly important because you risk losing two physicians if they move away from the community. Location may be the top factor as residents decide where to apply. But fit and the interview experience jump ahead in their choice of programs. Ultimate success in recruiting depends more heavily on two extremely controllable factors: 1) assessing for fit and 2) delivering an excellent interview experience. The number of non-U.S. citizen International Medical Graduates (IMGs) who participated in the Match declined again. The Association of American Medical Colleges urges support for a permanent legislative solution for Dreamers to ensure academic medicine’s ability to meet increasing healthcare needs, especially for the growing medically underserved and aging populations. Now that you know how Match Day impacts healthcare, your next step is figuring out what you can do about it. 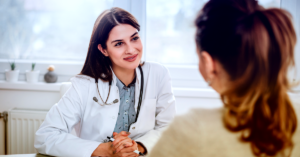 Avoid the physician gap by developing a strategic physician recruitment plan, assessing candidate fit carefully and delivering an unparalleled interview experience that displays your rewarding workplace culture and welcoming community. See more details. Jackson Physician Search is a leader in the permanent recruitment of physicians and advanced practitioners to hospitals and health systems across the U.S.
For many students across the country, this is going to be a big weekend. In addition to St. Patrick’s Day festivities, over 30,000 medical students will also celebrate Match Day 2018. 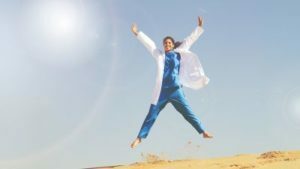 Congratulations to all the medical school graduates who just learned where they will spend the next several years training at residency programs around the United States! There were 33,167 positions filled, the most ever offered in the Match according to the National Resident Matching Program® (NRMP). This year’s 2018 Main Residency Match had 1,383 more positions than in 2017. One major contributing factor was the monumental increase of U.S. osteopathic medical school graduates. The NRMP expects the number of matches to continue to rise. Match Day is considered by many to be more exciting than graduation day, as medical schools across the country hold special reveal events. NRMP simultaneously releases match results based on medical students’ top specialty program choices, which the applicants’ rank on best fit, interview experience and location. If an applicant did not match, they have an opportunity to obtain an unfilled position through the Match Week Supplemental Offer and Acceptance Program®(SOAP®). Your hard work and commitment as a medical student is rewarded as you take the next step in your journey toward practicing medicine. Friends, family, faculty and other trusted advisors will continue to support you throughout your residency and fellowship training experience. 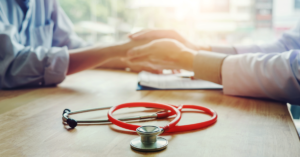 When you are ready to navigate the best options for your medical practice, check out our resources and reach out to experienced recruiters you can trust. We wish you the best of luck and a long career. Yet, the good news is tempered by this harsh reality: demand for physicians will continue to outstrip supply. A projection by the Association of American Medical Colleges (AAMC) shows a shortage of 40,800 to 104,900 physicians by 2030. The aging population has long been identified as the “perfect storm” that includes both higher medical utilization required for a growing population of older Americans and the accelerating rates of retirement among “baby boom” doctors. To help address the shortage, in part, the U.S. relies on international medical graduates (IMGs) for a significant portion of patient care, including in medically underserved communities. They undergo rigorous screening by the Educational Commission for Foreign Medical Graduates as part of the J-1 visa process. However, the number of non-U.S. citizen IMGs who submitted program choices declined this year. Because NRMP doesn’t collect citizenship information during the Match registration process, they couldn’t correlate the declining number of non-US IMGs to the executive order on international travel. But it has raised concerns for physicians and educators, alike. The combination of long-term demographic shifts, coupled with intermittent or unexpected geopolitical events, heightens the need for organizations to be proactive in their approach to recruitment. Due to the shortage of graduating residents, high rates of current doctors reaching retirement age, and uneven distribution of doctors, the physician shortage isn’t likely to be resolved anytime soon. Competition among facilities will remain tight as they vie for new hires in a tight physicians’ market. 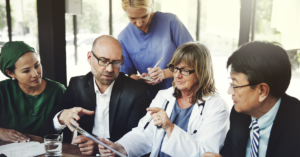 By forming a strategic physician recruitment plan, creating a rewarding workplace and strong organizational culture, and incorporating non-traditional practices, healthcare facilities can make smart hiring choices and avoid the physician gap within their own organization. Working with an experienced search consultant can improve your competitive advantage by empowering you to find, hire and keep physicians to meet your community needs. Contact us to learn more. Is matching to a residency program the luck of the draw or luck of the Irish? St. Patrick’s Day coincides with Match Day for the National Resident Matching Program® (NRMP®) 2017 Main Residency Match®. Celebrations will ensue as thousands of medical school students and graduates in the United States and around the world learn the specialty and location of the residency programs where they will train for the next three to seven years. For everyone involved in the delivery of health care, the Match has become a harbinger for the supply of new doctors to serve a growing and aging population throughout the U.S. This year, the Match brings encouraging news. NRMP predicts this will be the largest match year ever, exceeding the more than 42,000 applicants who registered for the 2016 Match and the more than 4,800 residency programs at institutions across the country that offered more than 30,000 positions last year. 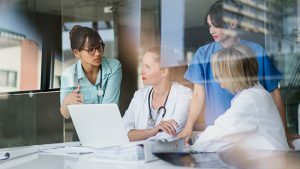 But even as new physicians prepare to enter the market, demographics dictate that demand for physicians continues to grow faster than supply, creating more recruitment competition, especially in underserved areas. Just like medicine, the Match is exciting, yet far from magical. It takes both art and science to align applicants’ preferences with available programs. The art of human interaction and the science of a computerized mathematical algorithm both factor into the rigorous application, interview and selection process. The Main Residency Match process begins in the fall for applicants, usually during the final year of medical school, when they send applications to the residency programs of their choice. Throughout the fall and early winter, applicants interview with programs. From mid-January to late February, applicants and program directors rank each other in order of preference and submit the preference lists to NRMP, which processes them using a computerized mathematical algorithm to match applicants with programs. According to NRMP, the preferences expressed on the rank order lists submitted by applicants, not programs, initiate placement into residency training. As a result, no applicant could obtain a better outcome than the one produced by the algorithm. And what factors do graduating medical students consider to be the important factors when ranking their top choice? Culture counts! “Resident esprit de corps” and “faculty availability and involvement in teaching” are among their top five priorities, according to a study published in the Journal of Graduate Medical Education. In fact, the location where residents train may very well be where they begin their first practice – and even marry! 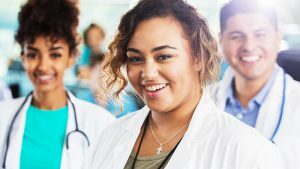 According to the Association of American Medical Colleges (AAMC), nearly half of physicians practice in the state where they completed their Graduate Medical Education. Two-thirds of physicians who complete both their Under-graduate and Graduate Medical Education in the same state remained in the stat to practice. And what about marriage? When it comes to the ultimate “match” – the prevalence of healthcare couples is on the rise. Nearly 40 percent of physicians are likely to marry another physician or healthcare professional, according to the Work/Life Profiles of Today’s Physician survey, conducted by AMA Insurance. Match Day is just one stop on a physician’s journey in search of a great match and the right fit their medical career. Talk with an experienced recruiter about how to secure your ideal practice in a community you and your family will love. Check out our job list to see what is may be waiting for you!